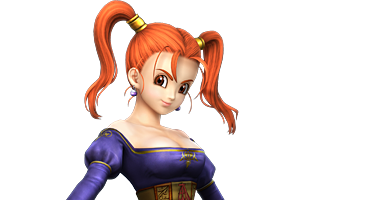 This page contains a character guide for Jessica in Dragon Quest 2. Jessica wields a whip in battle and has access to some useful and powerful spells. She can also provide support by healing the entire party with her Hustle Dance. How to Obtain: Defeat 15 or more enemies simultaneously with a coup de grace at the Tower of Legend Free Battle under 20 minutes. This will disable the magic barrier in Rao Wasteland (C4) where you can get 2 treasure chests. One of them contains the Whip. You’ll need to finish the main quest to do this. Jessica will join you at the Sacred Mountain Regen.